Complete our conveyancing questionnaire for a quotation. 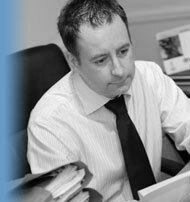 Cunningham Blake Solicitors is a firm specialising in Conveyancing, Property, Personal Injury, Wills & Probate and private client matters. We are a highly regarded firm with a large number of existing clients who return to us time after time. New clients are more than often recommended by current or previous clients. Every client receives the personal attention of a specialist Solicitor or Conveyancer who will provide the best possible advice and representation throughout the case. The firm was established more than 30 years ago and there are three partners in the firm: Matthew Blake, Kenneth Cunningham and Trisha Djemal. Our Conveyancing Manager is Michael Cornwall, and our Wills & Probate Manager is Tina Price-Johnson. We are based in South East London and our office is at 1 Spencer Yard, Blackheath, London SE3 0DE, located 50 metres from Blackheath Train Station and on the bus route for the numbers 54, 89 and 108 buses which stop outside Blackheath train station, and bus number 380 which stops at the edge of Blackheath Hill near the Village. There is parking available next to Blackheath train station and Blackheath Post Office. 10/10! Michael [Cornwall] was a joy to deal with. Michael [Cornwall], Thank you very much for all your help in putting the sale through so smoothly. Dear Michael [Cornwall], [I am] extremely satisfied with the overall service received; second time I have used Cunningham Blake as I was very happy with the service I received the first time and I have already recommended Cunningham Blake to several friends. I am very happy with the service. Michael [Cornwall] was very thorough and kept me up to date regularly. Will recommend the service to others. Hi Tina [Price-Johnson], Just wanted to say thank you so much for making me so welcome..., answering all my questions and agreeing to help me through this [Probate] process ... it was so refreshing to meet someone so professional, polite and friendly. I thought we were in safe hands, with an experienced, knowledgeable and personable person in Trisha [Djemal]; would have no hesitation in recommending you to friends. Dear Trisha [Djemal], We wanted to thank you for your advice, professionalism and good humour over the course of our purchase and sale. We are extremely excited about moving! Michael [Cornwall] was very thorough in his checks and very patient in his explanations as we are first-time buyers and needed more guidance than usual. Dear Michael [Cornwall], I would like to thank you for all your help with the sale. I would definitely recommend your Company to family and friends. Dear Matthew [Blake], I would like to thank you for your expert advice with my claim. Good professional approach. Basis of client contract made clear at the start. Happy to use and recommend Cunningham Blake; extremely satisfied. [Trisha Djemal, I am] extremely satisfied with the overall service received and am happy to use and recommend Cunningham Blake again. [Matthew Blake] - very friendly and efficient service, and clear in the explanation of details and expectations. Extremely satisfied; many thanks. Hi Michael [Cornwall], thanks for all your help, guidance and patience these few months... we would certainly be very happy if we could count on your services again! Extremely happy; [Trisha Djemal provided] a service without exception. Extremely satisfied [with the service by Michael Cornwall]; I have used Cunningham Blake in the past and would do so again. Not only did Tina [Price-Johnson] provide me with an excellent service in relation to my Will, she kindly explained the legalities of the Deed of Trust that was drawn up elsewhere. Extremely satisfied. [Matthew Blake] resolved my situation satisfactorily; can't think of anything to improve the service. Excellent service. I have already recommended Cunningham Blake solicitors! 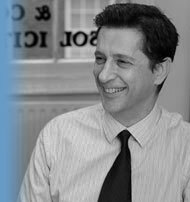 We were extremely satisfied with every aspect of the execution of our Wills and we would recommend CB very highly. Fast, caring and efficient service from Tina [Price-Johnson], we wouldn't go anywhere else. I think you are wonderful Trisha [Djemal]. I am extremely satisfied - the most stress free time and handled so well I really did enjoy my move. I am definitely happy to use and recommend Cunningham Blake; fantastic level of service. Hi Tina [Price-Johnson], Thanks for your assistance with both my Wills. I am very satisfied with the level of service provided and happy to use and recommend Cunningham Blake. Dear Tina [Price-Johnson], Many thanks for all your help with this [Will]. I am extremely satisfied with the overall service and would be happy to use and recommend Cunningham Blake. Trisha Djemal - just a little note to thank you so much for your hard work. I am never buying anything in England without you! Michael [Cornwall] kept me well informed and due to my location overseas Michael went above and beyond to answer my queries... I have used Michael's services three times for purchase, freehold and sale. [I am] extremely satisfied." Thanks Matt[hew Blake] ... Once again Tina [Price-Johnson] may I take this opportunity to thank you for your professionalism and help with dealing with my father's estate. Tina [Price-Johnson] was extremely helpful in our first meeting and covered all the options. Tina responded quickly to all emails. Extremely satisfied. [Tina Price-Johnson], Extremely satisfied with the overall service and we have recommended the firm to several people. Dear Mr [Matthew] Blake, Thank you kindly for your help in this matter and the short amount of time it took to deal with. Hi Tina [Price-Johnson], Thank you so much for your gentle handling and understanding in how smoothly the whole [probate] process went. [Tina Price-Johnson] - I was made very welcome on my first visit and this put me at ease! [I am] most definitely happy to recommend Cunningham Blake; extremely satisfied - I thought the service I received was first class, thank you. 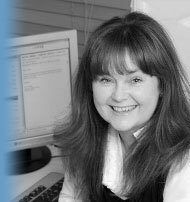 [Tina Price-Johnson] - extremely satisfied with the very helpful and informative overall service; instant response and all queries answered. Happy to recommend and use Cunningham Blake. Mike [Cornwall], May I thank you for all your help and support with our purchase. Your persistence, commitment and diligence is very much appreciated. Dear Tina [Price-Johnson], Thank you so much. You've proved a wonderful source of support. Dear Mike [Cornwall], May I take this opportunity to thank you for your professionalism in deal with this [probate conveyance] matter. [Michael Cornwall] I would just like to thank you for all your hard work and diligence throughout the process, it was hugely appreciated by both of us and we would have no reservations recommending your services to others. Dear Mike [Cornwall], Thanks for your work with us. A great job! Dear Tina [Price-Johnson] and Matthew [Blake], extremely satisfied with your service, [you can do] nothing [to improve the service]; it is impossible to do any more! Thank you Michael [Cornwall]. Thanks again for all your help. You've provided us with an exceptional level of service. 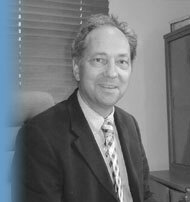 I would not hesitate to recommend your practice to our friends and colleagues. Thanks for all your help on the sale and purchase. A very efficient, diligent and professional service, nothing [to improve], Michael [Cornwall] was excellent. Tina Price-Johnson; you could not improve on your service - first class. Extremely satisfied. Tina [Price-Johnson] made it very easy and simple for me to understand. Your staff (are) very helpful, very happy to recommend (the) very good service. Best service already, and quick too! Hi Trisha [Djemal], I just want to thank you again for all your work on the sale. You were very helpful through the whole process and we appreciated your patience with the time zone challenge! Trisha [Djemal], many thanks for your relentless professionalism and guidance, we would definitely not have achieve this complex purchase without you. Dear Tina [Price-Johnson], After using the Blackheath office [Trisha Djemal] for conveyance we have been delighted with [all] guidance given. Extremely satisfied [with conveyancing and Wills service]. All very efficient; Trisha [Djemal] was excellent! It seems quite rare these days to receive reliable, efficient and satisfying service but Trisha [Djemal] provided all of these qualities consistently and was very helpful; confident when I needed, as well as being nice to deal with. I could not have wished for more from a conveyancer/solicitor. Dear Michael [Cornwall], Thank you for all the support and advice provided and for enabling my first home purchase experience to be a well-executed professional experience. [Matthew Blake] - [your service] was very efficient from the start... this matter has [been] handled very well since commencement. Extremely satisfied; [I am] happy to recommend and [would] use Cunningham Blake again. [Tina Price-Johnson] Extremely satisfied with the overall service, happy to use and recommend Cunningham Blake. The service was perfect! Hello Trisha [Djemal], Thank you for all of your hard work..., you have been amazing and we are truly grateful to you. Hi Michael [Cornwall], I want to say that we were extremely satisfied with the level of service you and your colleagues provided! I know it wasn't at all straightforward and we really appreciate your efforts"
Tina Price-Johnson, Many thanks for all your good help. I am extremely satisfied. Hi Michael [Cornwall], Thanks so much for everything - you have been wonderful throughout this difficult process. We will definitely be referring you on to friends and family. Dear Trisha [Djemal], A huge THANK YOU for everything you did to make sure our purchase of ... went through smoothly. We have really valued all your experience, advice and guidance... We will recommend you ourselves. Thanks again. [Trisha Djemal] You were on top of everything from the start. Your knowledge and experience really shone through and helped make the process pain free. A very professional and reasonably priced service; extremely satisfied. You were fantastic. [Trisha Djemal] gave really helpful advice. We felt completely safe in your hands because you had been so thorough; extremely responsive by phone and email. Hello Mike [Michael Cornwall], I would like to say thank you for your prompt and efficient handling of this sale; my [...] feel the same. We will be in touch in the near future for our other requirements. Tina [Price-Johnson] was very efficient and courteous. [Cunningham Blake] acted for vendors of my current property and drafted my Will. They have been very helpful. Extremely satisfied. [Tina Price-Johnson was] very helpful at all times. Everything was most satisfactory. It was a pleasure to work with such a professional and courteous solicitor as Mr [Matthew] Blake. Happy to recommend Cunningham Blake without hesitation. Your service more than met my expectations. My profound appreciation. Service [provided by Tina Price-Johnson] has always been prompt and fully explained. We were happy with the service we received. Extremely satisfied. Extremely satisfied [with the] extremely efficient service from Trisha [Djemal]. I hope to have a house for sale within the next couple of years and will certainly return to Trisha. I am very pleased with the service I have received from Cunningham Blake [and Tina Price-Johnson]. [Matthew Blake] Extremely satisfied. Easy, friendly and ... a pleasant experience. [Matthew Blake] I want to thank you for your guidance, support and work over the past year. I really appreciate it. Extremely satisfied with the service received from you. Extremely satisfied - nothing at all [could be improved] Trisha [Djemal] and the team have been fantastic! Extremely satisfied with the [Probate] service [Matthew Blake and Tina Price-Johnson]; happy to use and recommend Cunningham Blake again. [Trisha Djemal was] Efficient, friendly and helpful. I would definitely use Cunningham Blake again and hopefully in the near future. Matthew [Blake] was extremely efficient and helpful; plus the secretary. Excellent service, thanks. Thank you so very much for the time you have spent on me. I gratefully appreciate your efforts. [Matthew Blake] Many thanks for your service. I would be happy to use Cunningham Blake and to recommend you. (I am) Extremely satisfied (with the) excellent due diligence. Kept up-to-date at every stage. Extremely satisfied with the overall service (and) happy to recommend. Thank you so much for all your help, support and patience over the past couple of months, we couldn't have done it without you. I'd ... like to thank you for all your assistance with the sale and the purchase; you provided great service which we greatly appreciate." Thank you and your team for all your help in our house purchase. The entire procedure was very streamlined and efficient. Thanks to Tina Price-Johnson - extremely satisfied with the overall service; happy to use again [and] to recommend Cunningham Blake. [Michael Cornwall], Keep up the good work, personal service always appreciated. Extremely satisfied with the overall service. Hi Michael [Cornwall], Many thanks for all your help with our various conveyancing jobs... We'll certainly use your services if we have any other legal needs. Extremely satisfied with the overall service received ... happy to recommend Cunningham Blake. Michael [Cornwall], Cunningham Blake provided an excellent service. Thank you for all your work on the purchase and sale. Extremely satisfied and happy to recommend Cunningham Blake. Michael [Cornwall], we were extremely impressed with all aspects of the service (you) provided and would not hesitate to use the firm again. Trisha [Djemal], Can I thank you so very much for all of your hard work in getting this transaction over the line today ... you have been an absolute stalwart. I am hugely grateful for your efforts - well above and beyond the call of duty. Tina Price-Johnson - [I am] extremely satisfied with the overall service, happy to recommend Cunningham Blake. Dear Michael [Cornwall], Many thanks for your very efficient and professional service. Dear Trisha [Djemal], Thanks again for all your help; I know negotiations got a bit tense, and there was a lot of rushing around, but throughout the process you were brilliant. Very happy to be in my new place. Tina Price-Johnson - Without any exaggeration I can say there is nothing you can do to improve your service. It is exemplary and I am delighted to have found a law firm in whom I can place my affairs with complete confidence. Good morning Trisha [Djemal], Thank you so much for acting for me in the sale of my flat. Not having been through the process before I've really appreciated your advice and the professionalism, calmness and efficiency with which the process has been carried out ... tonight we are off to celebrate! Dear Mr [Matthew] Blake, I would like to thank you for the successful outcome of my compensation claim. I appreciate all you did and the way you handled my case. Thank you very much. Trisha [Djemal], I don't think the service could be improved. We were more than happy with the professionalism and courtesy we received. Extremely satisfied overall. [Matthew Blake] - Extremely satisfied with the overall service; happy to use and recommend Cunningham Blake. Many many thanks. Trisha Djemal has given me the best professional guidance and help I could have wished for. I will always recommend Trisha Djemal. Excellent service received by all members of staff I have had to deal with. Dear Tina, Thank you for your valued assistance. It has settled me considerably as you were very efficient and kind...thank you for your excellent assistance. I am very happy with the service I received and it was very efficient and reassuring. I have recommended your company. Thank you [Tina Price-Johnson] for all your help and guidance. Extremely satisfied with the overall service and happy to use and recommend Cunningham Blake. [Tina Price-Johnson] Thank you for your time, patience and understanding. Outstanding service! Extremely satisfied. Dear Matt [Blake], Thank you so much for your help over the past couple of months; without you I'm sure we would have ended up in debt! I feel that I was provided an excellent and very professional service [by Trisha Djemal].Without a doubt happy to use Cunningham Blake again. I will highly recommend Cunningham Blake. I was very happy with your service (and) will definitely be using Cunningham Blake again! [Trisha Djemal was] Really excellent all round, friendly, easy to communicate with and exceedingly efficient. Happy to use Cunningham Blake again and happy to recommend Cunningham Blake. Extremely professional service [from Trisha Djemal]. Cannot fault the firm in any way. Could not have been more helpful and knowledgeable. Would not use another conveyancer. This is the third time we have bought using Michael Cornwall's services and again we have been very happy with the service even when this was a particular difficult purchase.